We commissioned artist, TALLBOY, to create a Steez poster graphic for us for retail and promotional purposes. We had the 2 color posters silkscreened on heavy watercolor paper and release them in our online store. 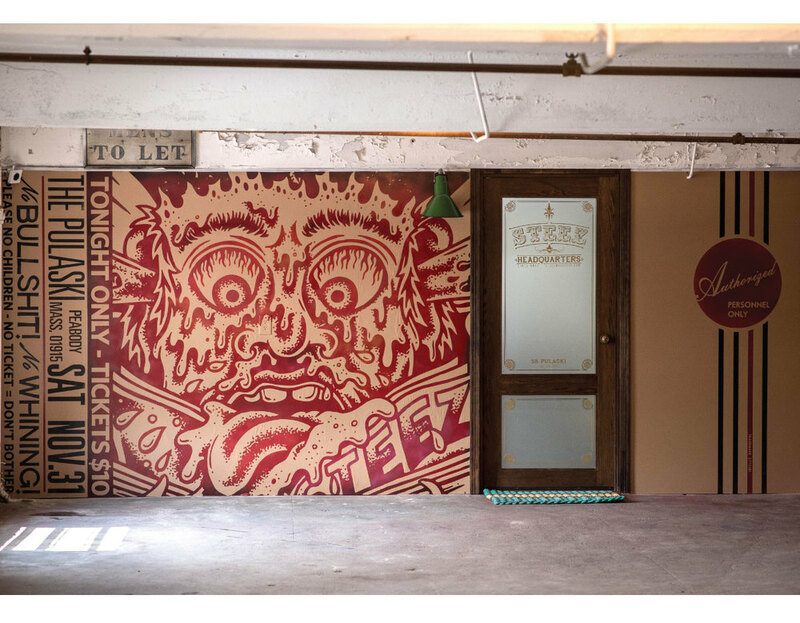 Later we decided that we liked the graphic so much we should use it for a painted wall mural as a faux concert ticket for our Peabody Office entrance.